Crunching log data is a tedious and resource intensive task. 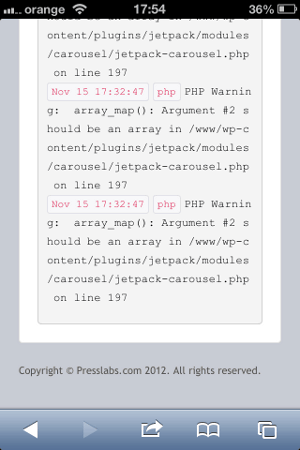 We’ve implemented and made available for you a slim, fast and accessible on all devices version of PHP logging. On top of our logging architecture we have integrated the Papertrail API which proved an outstanding way to integrate in our Hydrogen hosting infrastructure. It allows developers and site owners to get more insight into their site code, debug if the case, but also check how the site behaves, in realtime. 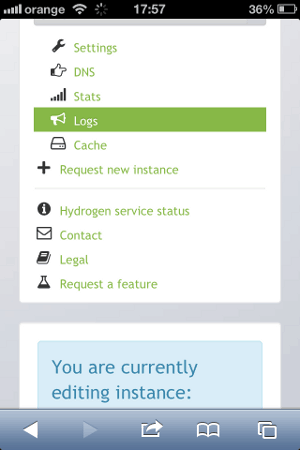 The logging feature is integrated in the Hydrogen dashboard, and is accessible via desktop, but also from a mobile device. We hope you’ll agree with us when we say that this feature is priceless, for example when tinkering with the theme code or with a plugin directly on the live site. Well, speaking of tinkering, consider using the error_log() PHP function to print messages or variables values you need to debug in this log, instead printing in the content of the HTML output. Now a few technical details. Logging level is set to display errors and warnings and the logging viewport displays the last 100 log entries, but it loads them as you scroll. Still, it is not bloating or blocking your browser, by dynamically adjusting the buffer of entries. We give access to the last 7 days of backlogs.